Here at Nuprint we have a dynamic team of enthusiastic employees who are constantly learning and developing their professional skills. Our ‘Always Learning’ Company Value underpins our commitment to a programme of continuous training and up-skilling for staff at all levels. 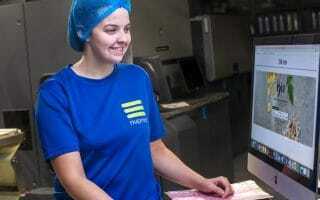 We operate a successful apprenticeship system and currently have six Print and Pre-press apprentices. Studying on-the-job with support from Belfast Metropolitan College, they are set to gain Level 2 and Level 3 qualifications. Two employees are also on a day release programme with the North West Regional College completing Level 5 Higher Level Apprenticeships in Mechanical Engineering and Accountancy. We’ve seen first-hand just how valuable apprenticeships are in facilitating learning and development, creating multi-skilled staff with a wide range of knowledge and abilities. Management development and training also forms a key element in our aim to further the careers of our staff while growing the business. Senior staff have benefitted from training in Management, Coaching and Mentoring Skills and Performance Management while all staff can take advantage of a whole range of job specific courses. We believe our people are our most valuable asset and, where possible, we seek to nurture talent and develop potential within a healthy and supportive working environment.